As most gamers know, Xbox Live has released their Summer of Arcade Titles. For the uninitiated, it is basically 4 featured arcade games that are released every summer. Games like Trials HD, Limbo, and Shadow Complex have been some games that have been released in previous summers. Today I decided to pick up one of the games from this year’s Summer of Arcade, and give a quick first impression about it. The game I chose was Dust: An Elysian Tail. It is an Action RPG from the people at Humble Heart Studios. 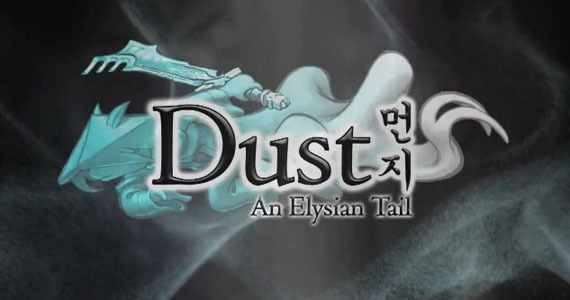 The game focuses on Dust, a rabbit like creature that awakes with some of his memory erased, and his 2 companions, Ahrah, a mystical talking sword, and Fidget, a flying squirrel who is the guardian of Ahrah. The first thing most gamers will notice when they start the game, is how gorgeous the game is. It’s a 2D platformer, with 3D visuals and style. If you have ever played Odin Sphere, this game will remind you of it. From the hour I have played so far, this game also looks like it takes a page from the Metroid series. I have come to a couple of areas where I couldn't advance, but later on found the tools needed to get into those areas and had to backtrack. Some gamers might get annoyed by this, but I feel I will thoroughly enjoy it. Gameplay in Dust is very fluid and easy to pick up and begin playing without some of the learning curves some other Action RPGs have. The voice acting so far is spot on and the main characters are all enjoyable in their own way. Even though it is early in my play through, I am convinced that this game will be one to remember. I am looking forward to getting deeper into the game, and uncover the story that goes along with it.